There are a lot of rail operators across the United Kingdom & Europe. By searching for your ticket on gopili, you are able to see the trains between Edinburgh in Scotland to Geneva in Switzerland as well as the rail company for this route. 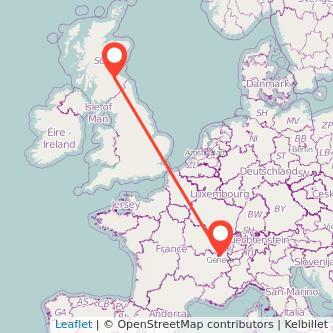 There are 785 miles from Edinburgh to Geneva. Train travel is most of the time the quickest way to travel to Geneva from Edinburgh, and it’s also more environmentally friendly than driving or taking the plane. Find the cheapest tickets to travel from Edinburgh to Geneva by train, bus, ride sharing and plane. We compare train ticket for all major companies to travel between Edinburgh and Geneva by train and find the best prices for the coming days. Take a look at the prices of train tickets Geneva to Edinburgh and find the best deal for your outbound journey.